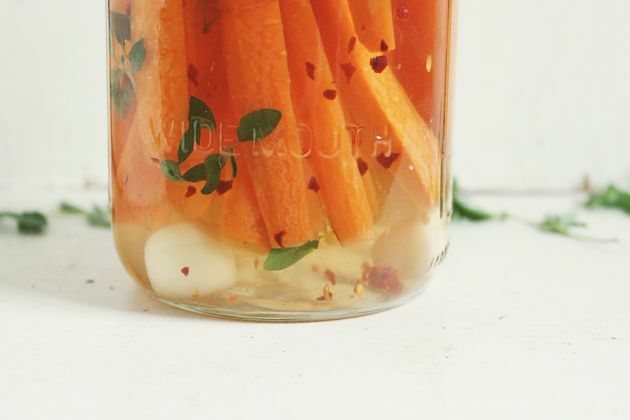 Spicy lacto-fermented carrots infused with lots of garlic and lots of fresh oregano, perfect happy gut snack. 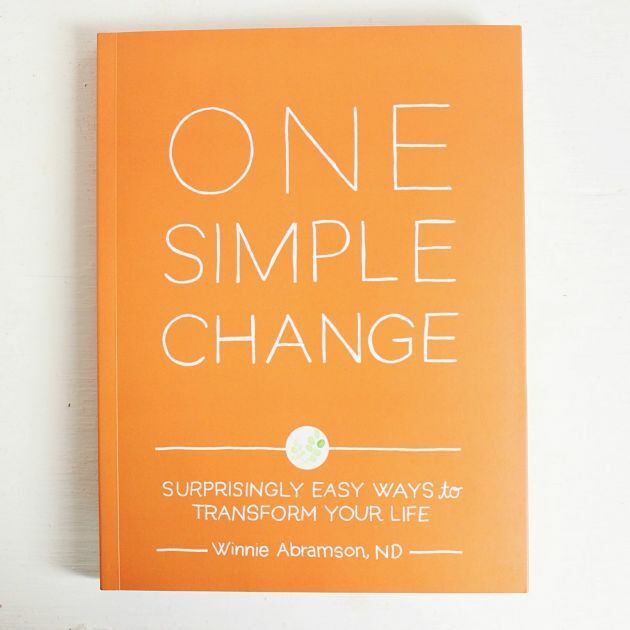 My copy of One Simple Change by my friend, Naturopath Doctor and brilliance behind the super popular Healthy Green Kitchen blog, Winnie Abramson came in the mail at the beginning of the week. So far I’m more than half way through, which is kind of a big deal for me – you know making time for reading, wowzers that can be tough. One Simple Change reads so effortlessly. Winnie has this classically straight-forward and totally approachable style of writing. Writing that I really appreciate. It doesn’t take work to read this, there isn’t extra fluff involved. It’s super honest, to the point and infinitely helpful in creating a better life and world in which we live in. There are 50 chapters, each only a few pages long. Ranging from identifying food allergies, getting a good night’s sleep, managing stress, learning how to compost, choosing the right chocolate and practicing gratitude. It’s everything you want to know about being a better person, making the world a better place to live in and more! 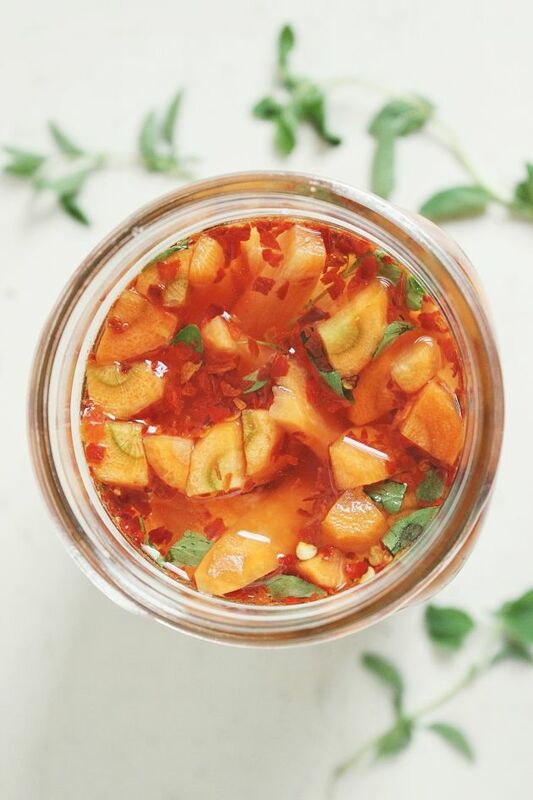 ies, sweet treats and spicy lacto-fermented cucumbers. See my adapted version below for Spicy Lacto-Fermented Carrots. Scroll to the bottom of this post for your chance to win One Simple Change. Sterilize a large glass jar with a lid. I used a 24 ounce wide mouth mason jar. Set this aside. Scrub and/or peel your carrots. Quarter them and place them in the jar. Combine your sea salt and 1/4 cup warm filtered water, stir to dissolve. Pour this liquid into the jar. Then throw in your peeled, whole garlic cloves, crushed red pepper and herbs. Fill the jar up with filtered water. Make sure all the carrots are covered with water, but allow at least 1 inch of space between the water line and the top of the jar. Seal with the lid and allow your carrots to sit at room temperature for 2-4 days. Your brine may cloud, don’t worry this is completely normal. Enjoy right away or store in the refrigerator for up to 3 weeks. This recipe is adapted from One Simple Change, I have also fermented veggies by covering them with cloth and a rubber band instead of sealing with a lid, both methods work lovely. Be careful when opening, open slowly and be prepared for liquid to fizz and spill over. Thanks to Winnie for gifting me an advance copy of One Simple Change! I saw this book in Whole Foods and thought it looked interesting. I am new to fermenting. I thought lacto fermenting used beneficial bacteria through dairy/whey. Can someone give me some info on salt vs. whey fermenting? Hey Steph – so the lacto in lacto-fermentation doesn’t refer to milk or whey at all. Lacto-fermented means that you’re fermenting foods with an emphasis on the lactobacillus bacteria. Hope that clears it up, let me know if you have any other questions. Hi Steph – like Sherrie said, fermentation depends on lactobacillus bacteria. I read in the wonderful book Nourishing Traditions, by Sally Fallon, that adding whey speeds up the fermentation process. Hope this helps! Just made this, I’m sure it’ll turn out delicious! Thanks for the recipe. Have a batch at home that’s just finishing up tonight. My batch overflowed a few times even though I left quite a bit of room. Must be happy bacteria. Can’t wait to try them out! Ah yes – the bacteria is joyous!! Thanks for your message, I hope you love them. Once your done fermenting them, what is the best way for storage? Should I put them in a small jar and pour out some of the liquid? 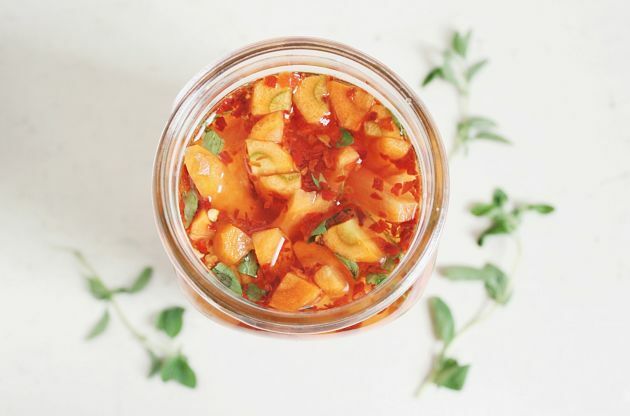 Hi Kasha – you can store them in the same jar and liquid that you ferment them in. Just seal it up and refrigerate. If you like to change the jar that’s totally fine. Hope this helps! I have a hard time getting the salt to dissolve. Any tips or advice? Hi Ashley – the salt should dissolve fairly easily with warm enough water and some continuously stirring. Hi newbie pickler here. Do these ferment even with no vinegar? Has anyone added vinegar to this recipe? Hi there – no vinegar needed. This recipe uses lacto-fermentation process requiring nothing more than salt, vegetables and water. What other herbs pair well? Can you use dried too? Yes, you can use dried herbs! Basil, parsley, bay leaf – any aromatic will work well.